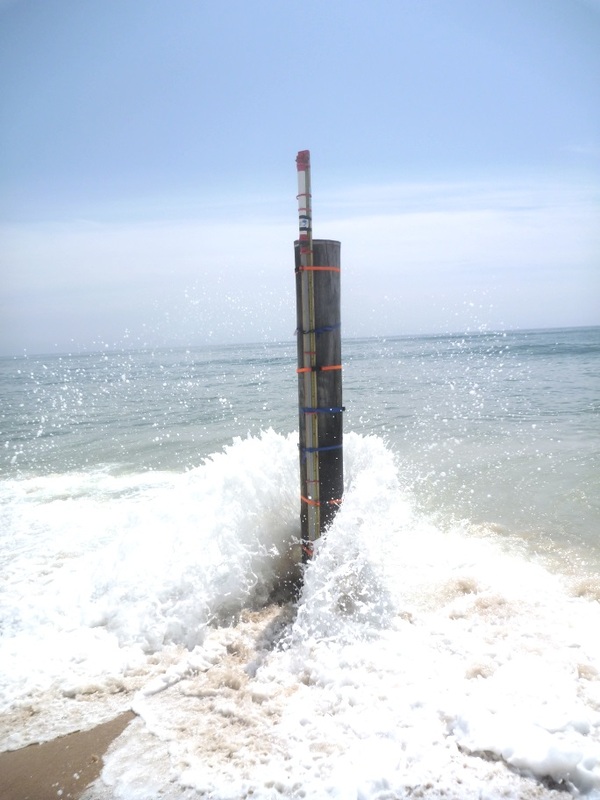 The School of Marine and Atmospheric Sciences and the Institute of Terrestrial and Planetary Atmospheres (ITPA) with the dutiful assistance of the Instrument Laboratory operate and maintain several real-time data systems across Long Island. This includes three weather stations that provide to-the-minute data of the current conditions. 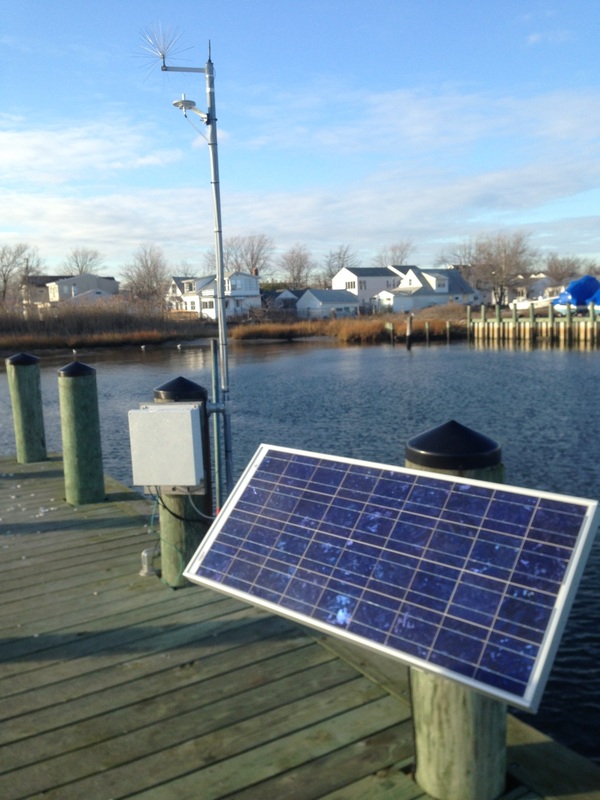 The weather stations are located at the Stony Brook University South P Lot, the Stony Brook University Southampton Marine Station and the Stony Brook University Health Sciences Center. SoMAS also maintains three web cams: two located at the Southampton Marine Station and one on the roof of the Health Sciences Center. ITPA maintains a comprehensive system (developed by UNIDATA) for ingesting and displaying real-time data in the form of worldwide surface and upper air observations, numerical weather prediction model output, satellite imagery, US and local Doppler radars, and lightning data. The Institute also maintains vertically pointing radar and a map room for viewing weather data in either print or electronic forms. Data provided by these weather stations provides a closer look at the local conditions. The South P Lot weather station is dedicated to research-quality measurements. This station is located on the roof of the Stony Brook University / Three Village Soccer Club building situated in the southeast corner of the parking lot. 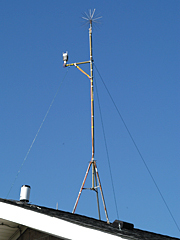 The first weather station was deployed in early 2000. MSRC/ITPA is surrounded by trees, which creates a large problem for collecting accurate weather data. The Soccer building was a better location. Data was transmitted over telephone lines until the lines went down. In 2003, the station was struck by lightning and went offline. When the station was rebuilt, a one-way radio uplink transmitted data from the Soccer building to the roof of Endeavour Hall. Additional lightning protection is installed, along with a device to keep the bird population at bay. In late 2012, the weather station started malfunctioning and required replacement. In July 2013, the station was replaced with a Davis Vantage Vue. The South P Lot station has mainly been an educational tool for classes and weather discussion. Some students have used the data for their case study research projects. 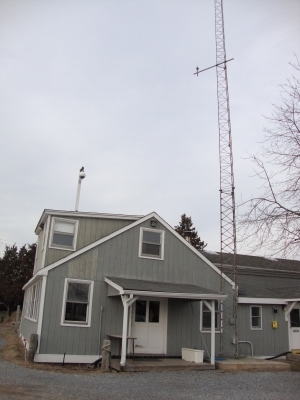 The weather station at Southampton is located at the Stony Brook Southampton Campus Marine Station on Old Fort Pond. The weather station was upgraded by SoMAS in 2007 for the purposes of monitoring local weather conditions at Southampton, particularly for the safety of the marine fleet. The DEC shellfish division records rainfall data from this station for their historic collection. The cameras monitor the boats during times of inclement weather. A stationary webcam is mounted within a window frame. A second, Pan-Tilt-Zoom camera is contained in a dome on an aluminium mount on the roof. On top of the new Marine Sciences Center roof is a Vivotek SD8364 Pan-Tilt-Zoom camera with a 30x zoom. The view from the roof provides much better vistas of Old Fort Pond Bay. Additional Equipment: Vivotek SD8364, AXIS 2120 and AXIS 233D IP webcams. Tide gauge. The weather station on the Health Sciences Center was a collaborative effort between the Health Sciences Center, the School of Marine and Atmospheric Sciences and the Stony Brook Meteorology Club. Initial discussions and planning began in April 2012 and the equipment was installed in June 2013. 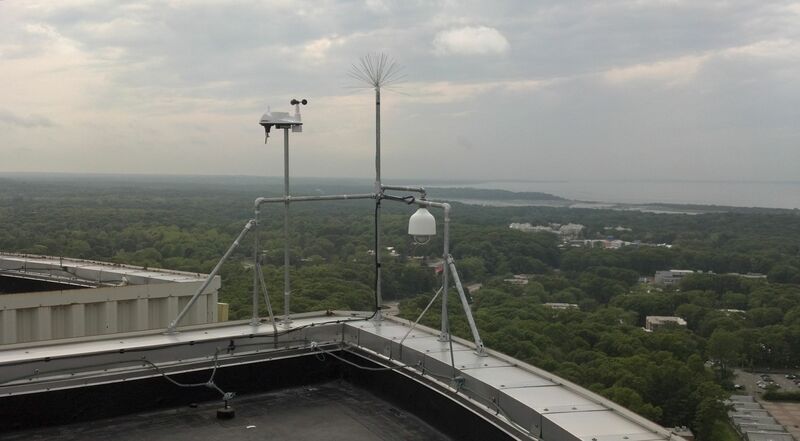 In addition to the weather station, a Pan-Tilt-Zoom webcam aimed at the Main Campus of Stony Brook University and the Long Island Sound is also installed. The camera captures an image of Stony Brook University every minute and a panoramic image is created every 15 minutes. 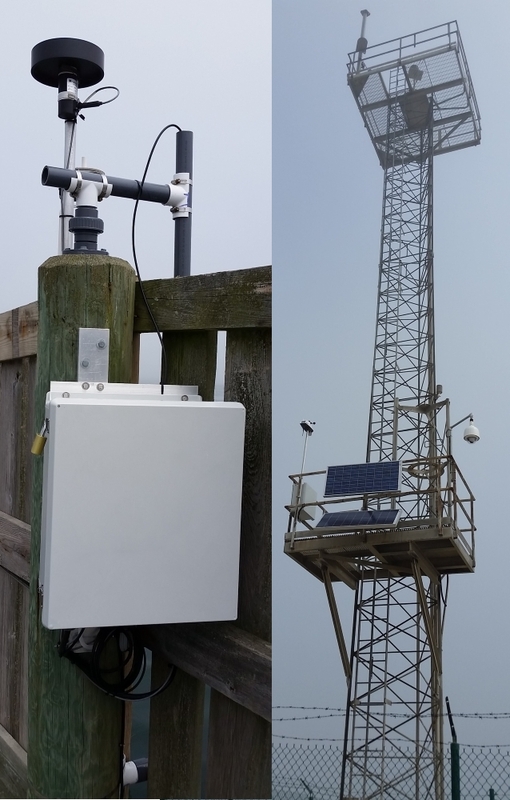 The station itself provides valuable temperature, wind, and moisture measurements at a point of elevation otherwise inaccessible in the Stony Brook area. The measurements provided during thunderstorms and other larger scale storms like nor’easters, tropical events, and winter storms will provide an interesting comparison to the South P Lot station. The camera provides a three dimensional look at the atmosphere around the Stony Brook area. Meteorologists already spend a lot of time looking at satellite and radar images, which examine weather phenomena from a birds-eye view. Surface and upper air observations also provide small samples of what the atmosphere is like at different levels. The camera provides time lapse videos that tie everything together to see the weather evolve in 3 dimensions and over time. The view from the roof of the Health Sciences Center provides something familiar from a new perspective. 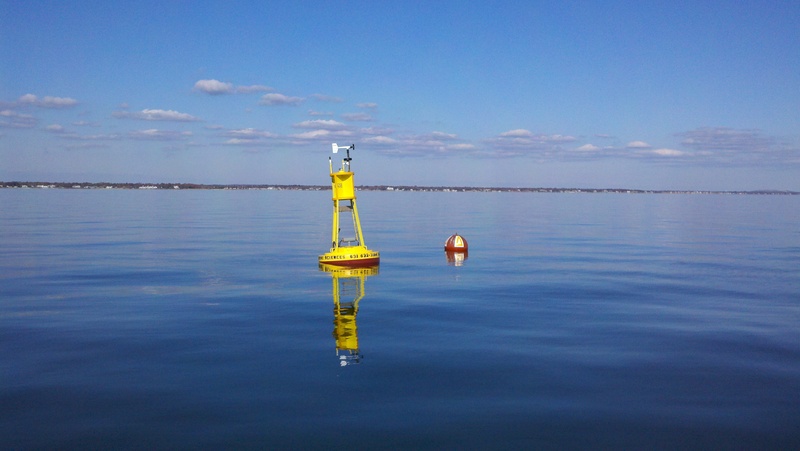 On October 6th, 2010 GSB #1 buoy was deployed south of Sayville at 40o 41.6’N, 73o 05.1’W. This buoy reports wind speed and direction, air temperature and humidity, photosynthetically active radiation (PAR), water temperature and salinity, chlorophyll-a fluorescence and turbidity. This station is maintained by the Instrument Laboratory. 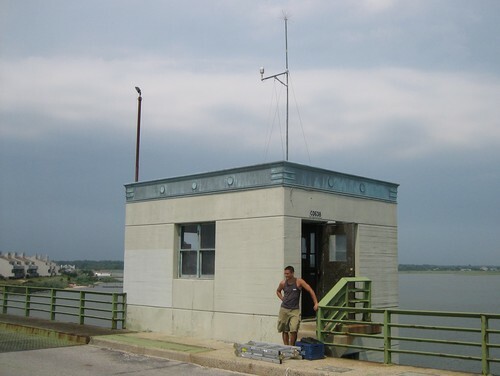 The Shinnecock Inlet station was the first monitoring location for the Instrument Lab at Stony Brook University, established in 1998. The station went offline in 2012 and Superstorm Sandy damaged the station location further. The station returned in June 2016 with funding from the Shinnecock Bay Restoration Program.